Thank you for the Hypnobubs™ Online Course. I have always been terrible with pain and would not self describe as 'heroic'. I had many reservations about having a cesarean and feared the recovery process. We completed the course online, which was great as we needed module flexibly due to work schedules. We had a beautiful home birth planned, and like many people ended up with our baby coming out the way she wanted instead. I went into active labour around 7.30am after a night of early labour surges. The midwives came to the home after lunch and I was able to get in the pool. I transitioned some time in the early evening. Firstly I wanted to say thank you for the amazing online course. We had a beautiful calm first birth completely natural. We couldn’t of asked for a better experience. Honestly, I can’t rave enough about your course and our experience. Even the midwives asked if they could book in for my future birth. Haha. 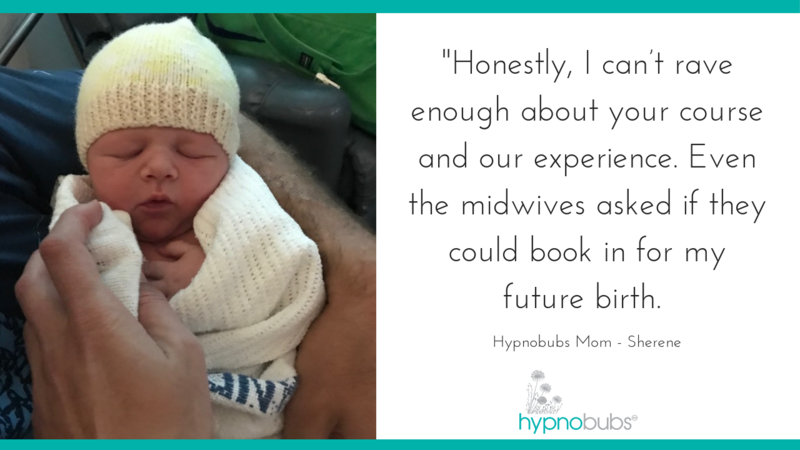 They were blown away and even kept my door sign that I made for other hypnobirthing mums that come to the hospital. Our birth was an absolutely amazing experience and my husband was incredible. A beautiful birth story from a Dad's point of view. On the 18th August, our little girl arrived. Mum had been diagnosed with preeclampsia and cholestasis. So bub was induced by our very gentle Naprotechnology obstetrician. 7 hours of active labour later, little miss arrived, without crying, busily looking around herself, staring at mum and dad, and then feeding! She had her priorities! 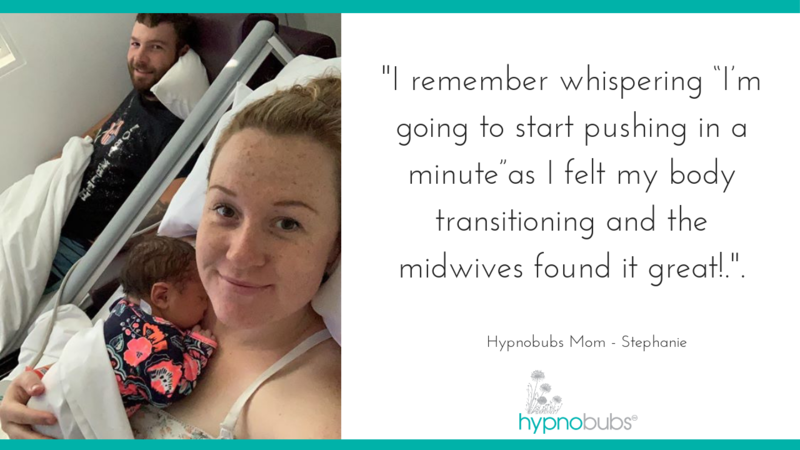 We used the hypnobubs audio tracks through labour, and a TENS labour machine and Gas for pain relief, much to the Midwife's surprise, as she said most people cannot cope with induction without an Epidural. We also had a professional Doula with us, which helped a lot. The delivery ended up being Vacuum Extraction, but Obs was so gentle, bub had no bruise on the head, and mum had no tears and no cuts, no stitches. 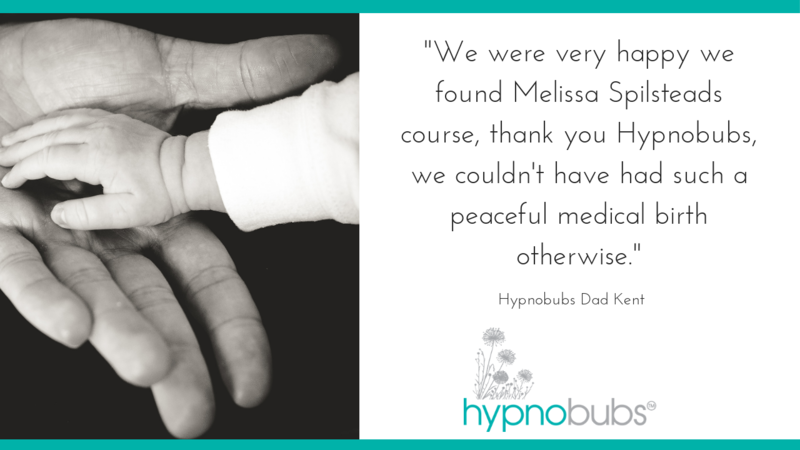 We were very happy we found Melissa Spilsteds course, thank you Hypnobubs, we couldn't have had such a peaceful medical birth otherwise. Hi everyone. I’d love to introduce Noah born 9 October via a beautiful water birth at 38+5. 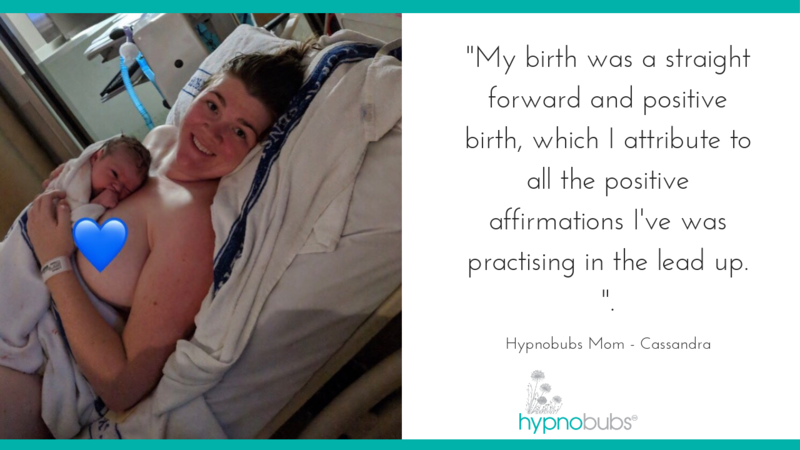 At around 10:30 they started getting more intense so I put a towel on the floor in the shower to run water over my back and turned on the 'Affirmations for beautiful birthing' track when I suddenly threw up I knew it was time to go to the hospital.